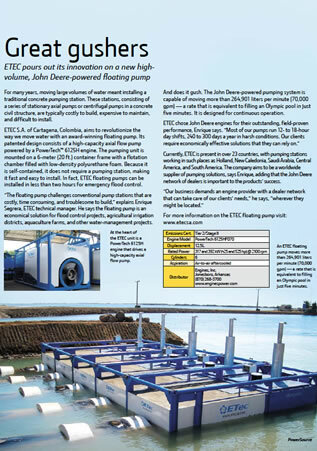 ETEC pours out its innovation on a new highvolume, John Deere-powered floating pump. 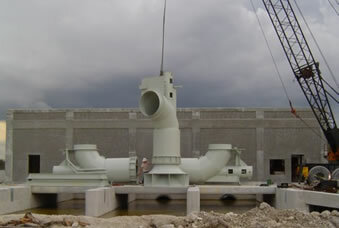 For many years, moving large volumes of water meant installing atraditional concrete pumping station. 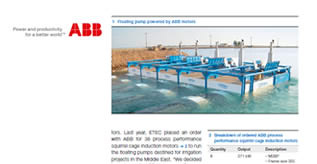 These stations, consisting of a series of stationary axial pumps or centrifugal pumps in a concrete civil structure, are typically costly to build, expensive to maintain, and difficult to install. 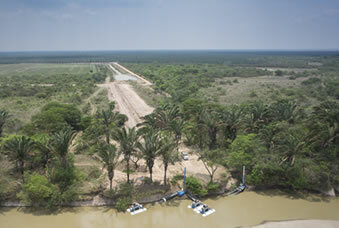 ETEC S.A. of Cartagena, Colombia, aims to revolutionize the way we move water with an award-winning floating pump. 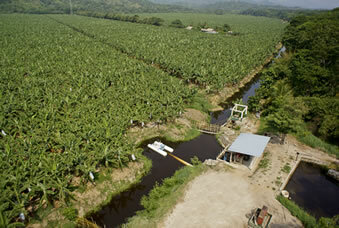 Its patented design consists of a high-capacity axial flow pump powered by a PowerTech™ 6125H engine. 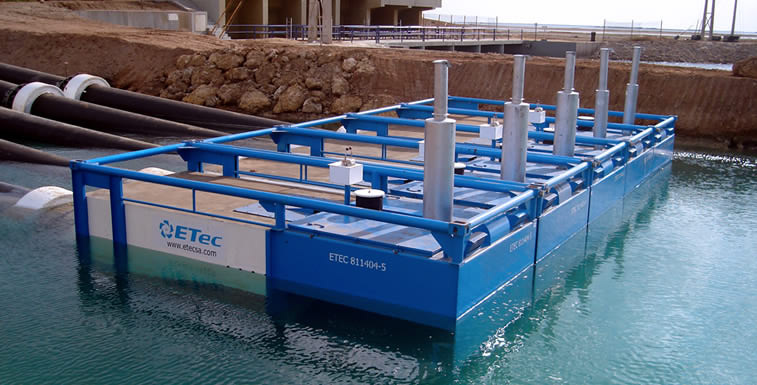 The pumping unit is mounted on a 6-meter (20 ft.) container frame with a flotation chamber filled with low-density polyurethane foam. 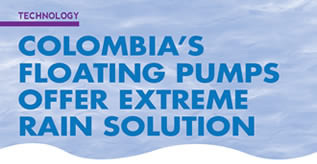 Because it is self-contained, it does not require a pumping station, making it fast and easy to install. 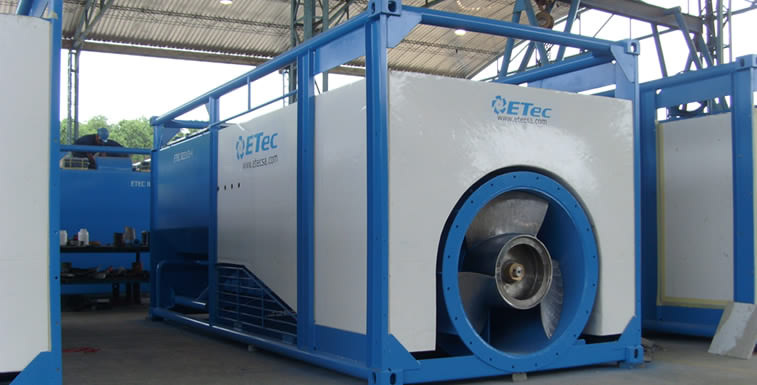 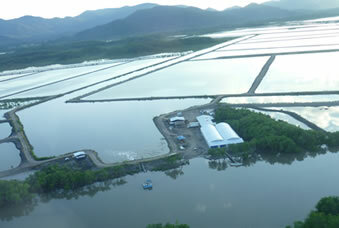 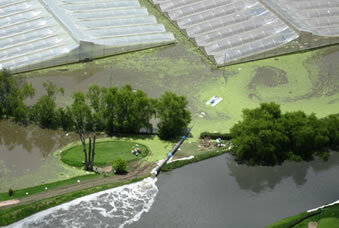 In fact, ETEC floating pumps can be installed in less than two hours for emergency flood control.